Frosty the Snowman—This one isn’t hard to crack: “Thumpety thump thump, thumpety thump thump. Look at Frosty go.” Do as Frosty—go! Or thump. You know, both burn cals. FBG suggestion: Further your calorie burn by actually making a Frosty out in the front yard. It’s like workout art, and it’s fun. Grandma Got Run Over By a Reindeer—After drinking too much eggnog and skipping her meds, Grandma stumbles out in the snow and gets run over. One big take-home message here: Don’t drink and drive/walk. Oh, and watch the eggnog intake. A cup of the stuff has close to 350 calories. FBG suggestion: Get your run on. This way you can outrun the reindeer if you need to. I Saw Mommy Kissing Santa Claus—Mommy had it right. Kissing can burn some serious calories. Pucker up to burn up to 180 calories an hour, depending on the intensity of your holiday spirit. FBG suggestion: We suggest making Santa shave first. Jingle Bell Rock—Mix and mingle, dance and prance, this song is about moving your body. Rock it on out and you can burn 158 calories in just 30 minutes of freestylin’. FBG suggestion: If Jingle Bell Rock isn’t your kind of song, try Rockin’ Around the Christmas Tree. Same message. The Little Drummer Boy—Do as the little drummer boy does: pa rum pum pum pum. Whether it’s on real drums or those in the video game Rock Band, beat that thing. A good 30-minute drum session can rack up 180 calories. FBG suggestion: Practice your drumming during the day and when your house mates are away. Deck the Halls—Besides decking the halls with boughs of holly, this song tells you to don your gay apparel. (Warning: Blatant self promotion coming up.) Honestly, we couldn’t think of anything happier than this apparel. 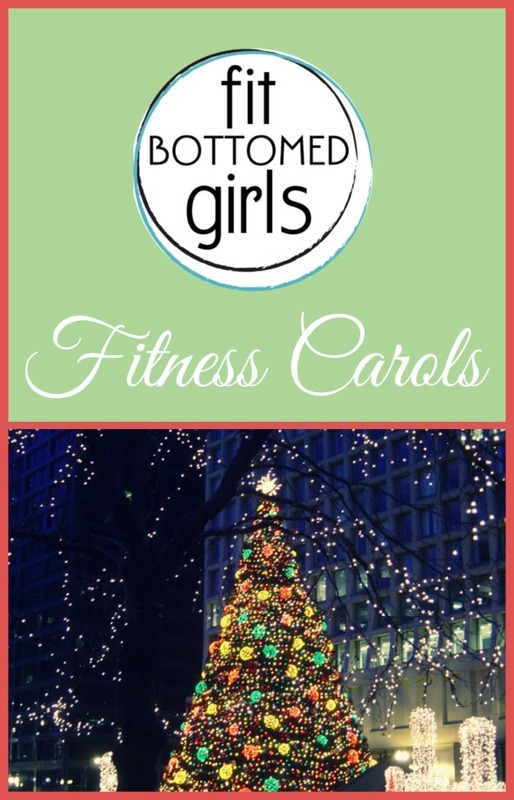 FBG suggestion: While you deck the halls, do some walking lunges. You’ll strengthen your glutes, hamstrings and quads! Christmas tree photo grabbed from laffy4k from Flickr. have a great holiday you two. here’s to amazing things for us all in 09. What about Rudolph the red nose reindeer and his healthy reindeer games. Ok, not as good as yours! How can I have a Bah Humbug Slothful Christmas with all these cheerful motivational carols being sung! haha- great post! Happy Holidays! plan. Plus the song titles including the workout are hilarious. “oh hannukah oh hannukah come light the menorah, let’s have a party, we’ll all dance the hora…” perhaps means…LET’S DANCE!!! Sending lots of holiday wishes and love and hope for a great 2009! Hah. Very cute (and creative)! 🙂 Made me smile. Happy Holidays! Thanks for all of your secret fitness messages….